Josh earned his M.S. in Computer Science from the University of Oklahoma in 2012. His education and research experience was focused on the overlap of machine learning and robots. 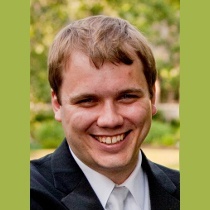 Josh has co-authored many scientific papers in the areas of robotics and brain machine interfaces. He is Exaptive's Machine Learning Lead and helps solve data science challenges for the company and its clients.